Our goal has always been to provide the best service possible through creating long-term relationships with our clients in order to better understand their needs. 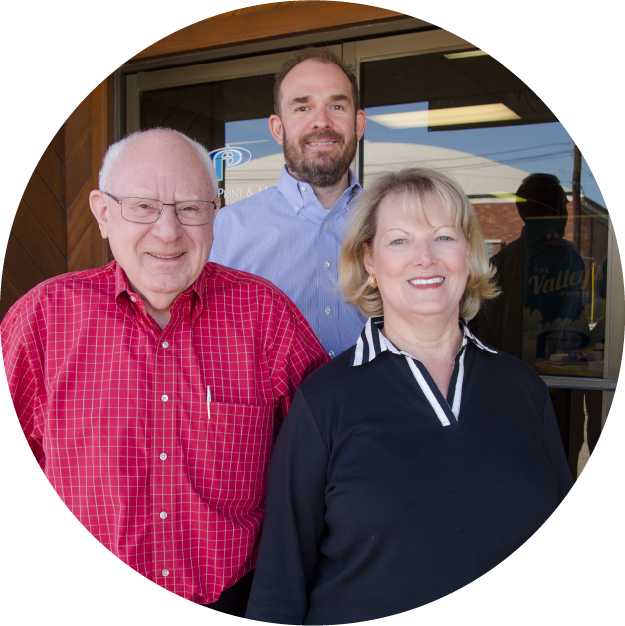 It all began in 1985 when Doug and Roberta Carlile purchased a printing company in downtown Fresno. Today, Professional Print & Mail is still family owned and operated, and ranks among the top commercial printers in the California Central Valley. Our accomplishments are due to the confidence our clients have placed in us throughout the years. Mike, Roberta and Doug Carlile. Professional Print & Mail is a full-service commercial printer with an emphasis on direct marketing. Our goal is to provide total customer service by understanding our clients' needs and adapting to the evolving marketplace in order to meet those needs. We strive to create long-term relationships with our clients, our vendors, and our employees to achieve mutual success.